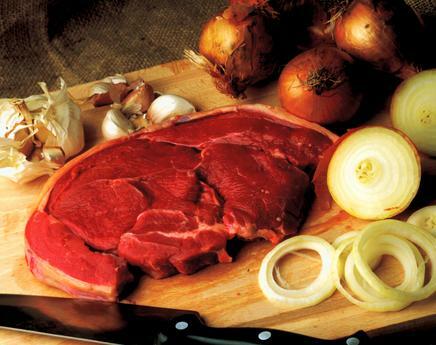 Bison meat is similar to beef, although needs to be cooked a little differently. The most important thing to remember when cooking bison is LOW AND SLOW. Because bison meat is so lean it cooks faster than beef mainly because of the lack of marbling (fat in the muscle). Fat acts as an insulator which means heat must first penetrate the insulation before the cooking process begins. Cook ground bison the same as you would beef, once again remember because of the low fat content it will cook much faster. Do not poke, smash or continually flip the burger to maintain moisture. Ground bison also works extremely well with fillers such as eggs, breadcrumbs, cheeses, and much more to create delicious meat loafs, meatballs and even infused burgers. Move your oven rack down one notch and check sooner. Remember by taking your time, checking more often for doneness you will ensure a delicious meal. Grill over hot flame to sear and seal in flavor. Reduce heat to low and continue cooking for 6-12 minutes depending on the thickness. Do not cook past 160 degrees. Avoid using salt before cooking, this may draw out moisture. Bison meat is very lean, yet it is tender and has a slightly sweeter, slightly richer taste than beef. Bison is generally darker than beef and is not marbled with fat. Bison can be used interchangeably with beef in most recipes, so enjoy all your favorite dishes made healthier - buffalo chili, buffalo lasagna, buffalo stew - the list is endless.